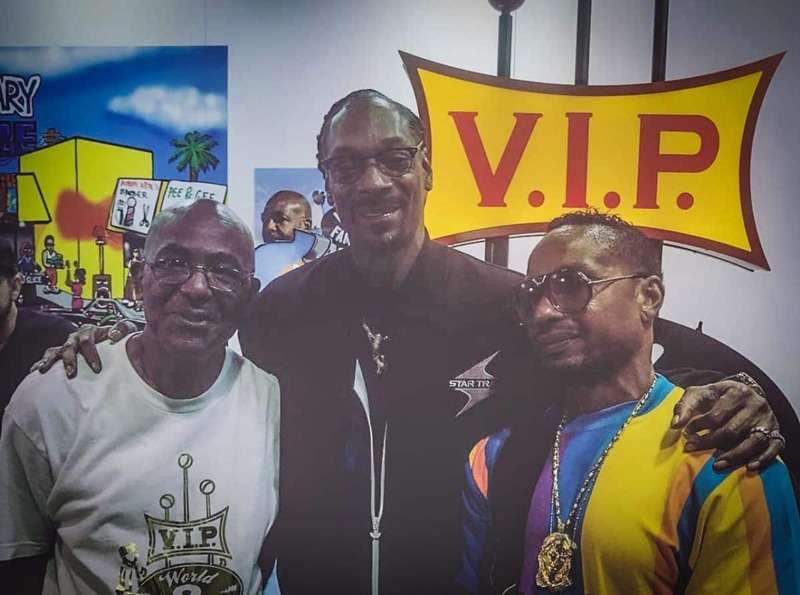 Snoop Dogg stands with Kelvin Anderson, Sr. [left], founder of VIP Records at ComplexCon on November 3, 2018. Just before Long Beach gets to finally experience Snoop Dogg’s “Redemption of a Dogg,” his stage musical that both uses his music and tells the tale of a character eerily Snoop-like, the Hollywood Chamber of Commerce has announced that the Long Beach rapper will be honored with a star on the Hollywood Walk of Fame. With the honor set to take place two days after appearing in Long Beach for “Redemption” on Nov. 19, Snoop will be recognized in the recording category and mark the 2,651st star on the Walk. His star will be installed in front of the “Jimmy Kimmel Live!” building at 6840 Hollywood Blvd., where Kimmel himself will be on hand to honor Snoop. The two most stellar guests, however, will be none other than Snoop’s longtime friend and producer, Dr. Dre, along with recording legend Quincy Jones. Snoop made a recent appearance at ComplexCon earlier this month with the life-size replica of the VIP Records sign. This follows what some have called Snoop Dogg’s “return home” era that has prompted the creation of things that are seemingly out of the ordinary for a kid who was raised in the epicenter of local gang life during the late 80s and 1990s: He went back to church with a gospel album (and won an award for it). He returned to the LBC stage after a lengthy and politically influenced hiatus. And the man has announced a cook book and offered Long Beach kids some free advice on creating music.